Voting is a great way to get involved in your community. It is also an important way to make sure politicians listen to your community's needs. In Rhode Island, you can vote as soon as you leave prison. Rhode Island law changed in 2006, restoring voting rights to all citizens over 18 who are not currently in prison. If you are still in prison, you will have a chance to register during your discharge planning session. Drop it off or send it to your local city or town hall (listed on page 2 of the voter registration form). You can also bring it to OpenDoors, and we will mail it for you. Please call 401.0781.5808 ext. 127 with any questions. 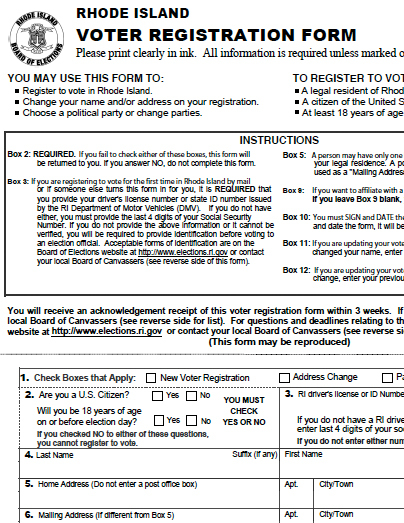 Register and Vote 2008, the guide for Rhode Island Voters, can answer almost any question you can think of, and gives information about voting by mail, participating in elections, and your rights as a voter. It even includes a sample ballot and pictures of the voting machines so you know what you expect when you get to your polling place. 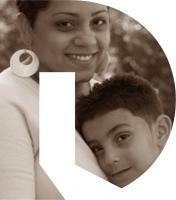 Read more about Koren's fight for voting rights.